Join in on events bring put on by universities all over the state! The University of Utah is hosting a Day of Service on January 19th with multiple projects at various locations. Opportunities include: Bags to Beds, Big Brothers Big Sisters, Crossroads Thrift Store, Crossroads Urban Center, For the Kids, Friends for Sight, Knitting Necessities, Maliheh Free Clinic, Ronald McDonald House, Utah Food bank, and the YWCA. You do not have to be a U student to attend! Register soon to save your spot! 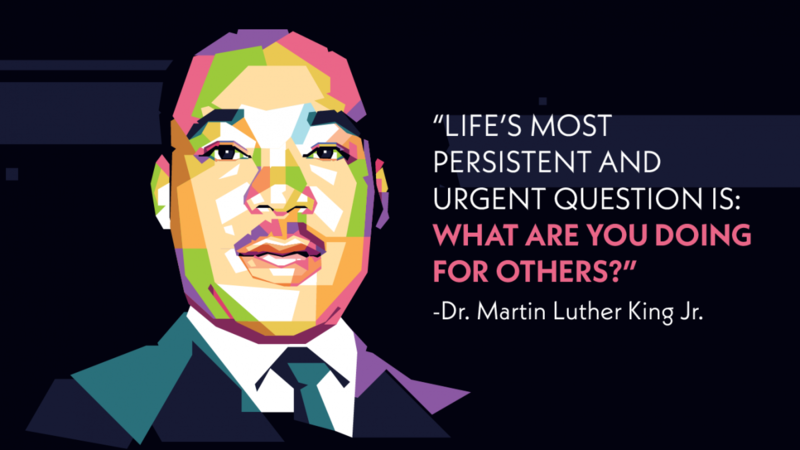 Westminster is hosting a day of service on January 18th at the Payne Gym from 2:00 p.m. to 4:30 p.m. Stations will include the service project, sports and games, science, and an MLK Dream activity with elementary students. Register here! Weber State University hosts a week of service activities from January 21st to 25th. The theme this year is #Unity. Service activities will benefit Catholic Community Services, the American Red Cross, the YWCA, and the Special Olympics! Learn more here! BYU is hosting Community Outreach Day on January 21st. This a one-day event that unites both the BYU and local communities in a celebration of giving. This event will include a free breakfast, a cultural celebration, and various service projects! Learn more here! SUU is hosting a service event on Wednesday, January 23rd. Participants will be helping address clean-up issues in Zion National Park created by the government shutdown. Lunch and transportation will be provided! Sign up here, and contact Pam at braninp@suu.edu with questions. Or, create your own project! If you are creating a project for your organization, follow these guidelines! If you are looking to create a smaller-scale opportunity, try these suggestions from 911day.org. There are even ideas for young volunteers! If you do a project, we’d love to see and share it! If you post to social media, tag @userveutah to inspire others!